The summer horse racing season at Del Mar opens at 2 p.m. next Wednesday, July 19, with the traditional hat contest and thousands of fans. 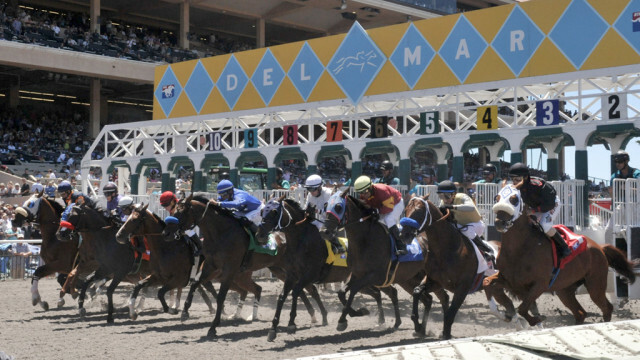 Last year, some 40,000 people showed up for opening day at the historic track “where the surf meets the turf” in the beach city. This year’s races will take place Wednesday through Sunday and on closing day, Monday, Sept. 4. The first post will be at 2 p.m. except on Fridays, when it is at 4 p.m. The traditional opening day hats contest will feature prizes in five categories: most glamorous, best racing theme, funniest/most outrageous, best “fascinator” and flowers/all other. Opening day title sponsor is Valenti International, a professional matchmaker, in a sponsorship first for the Del Mar Thoroughbred Club.